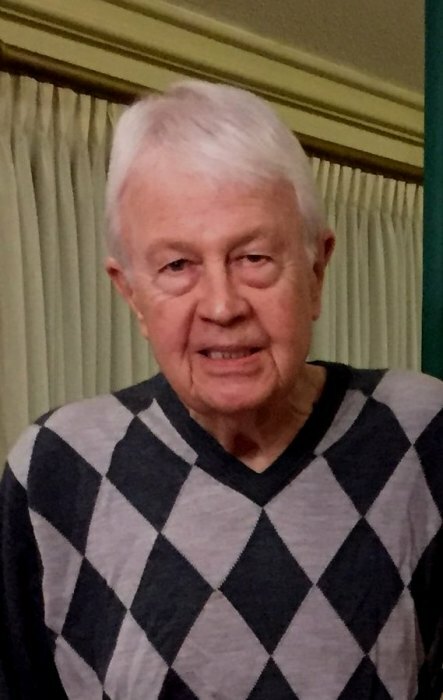 Judson Leon Green, III, age 80, passed away Wednesday, October 31, 2018, at Fairview Park Hospital in Dublin, Georgia. The funeral service will be held Saturday, November 3, 2018, at 2 PM at Dublin First Baptist Church, with Dr. Cliff Morris officiating. Burial will follow at 4:30 PM at Evergreen Cemetery in Perry, Georgia. Mr. Green was the son of the late Judson Leon Green, Jr. and the late Nell Austin Green of LaGrange, Georgia. He is survived by his wife, Martha Aurelia Evans Green of Dublin; one son, Judson Leon Green, IV and his wife Jenny Oliver Green; one daughter, Ansley Green Garrett and her husband Thomas Ray Garrett; four grandchildren, Evan Lee Green, Jud Austin Green, Carlie Austin Garrett, and Thomas Scott Garrett, all of Dublin. Mr. Green had one sister, Nancy Green Ludwig and her husband John Lindsay Ludwig of Sea Island, Georgia, two nieces and one nephew. He was a 1955 Honor Graduate of LaGrange High School, LaGrange, Georgia. He attended LaGrange College, was a graduate of the University of Georgia, and was a 1972 graduate of the Mercer University School of Law. While at the University of Georgia, he was a member of Sigma Alpha Epsilon fraternity. At Mercer, he joined Phi Delta Phi legal fraternity. After graduating from law school, Mr. Green moved to Dublin and practiced law with Carl Nelson. He opened his own law firm in 1974 and then formed a partnership with William Tribble. Mr. Green and his son, Judson Leon Green, IV, formed the partnership of Green and Green Law Firm. He had deep ties to Dublin and Laurens County where he practiced law for 45 years. During his legal career, Mr. Green served in the following capacities: Attorney for Community Mental Health Board of Middle Georgia, Attorney for Knight State Bank, Laurens County Attorney for fourteen years, Johnson County Attorney, Legal Counsel for YKK when the company located in Laurens County, taught Business Law at Georgia College and State University, and member of the Dublin Bar Association and the Georgia Bar Association. Mr. Green proudly served his country in the United States Army from 1959-1963. He attended Artillery Officers Candidate School (OCS), received a commission as a Second Lieutenant, and was later promoted to First Lieutenant in the 82nd Airborne Division. He received an Honorable Discharge in 1963. Mr. Green was a faithful member of First Baptist Church and the Forum Sunday School Class. He served on the Board of Directors of the Dublin Country Club as well as the Dublin Elks Lodge. He was actively involved in the creation of the Lou Roy Inclusive Playground. Pallbearers will be Rodney Strickland, Butch Freeman, Craig Wilson, Herschel Lovett, Griffin Lovett, Kenny Kight, Peter Raymer, Trey Warnock, Trey Oliver, Earl Edenfield, Bob Walker, Jim Kirkland, Daniel Johnson, Sree Kavuri, Ken Cox, and Alpha Watson. Members of the Dublin Bar Association and Judges of the Dublin Judicial Circuit will serve as honorary pallbearers. In lieu of flowers, contributions in memory of Leon Green to Dublin First Baptist Church or the Salvation Army will be greatly appreciated. Townsend Brothers Funeral Home in Dublin and Watson-Hunt Funeral Home in Perry are in charge of arrangements.